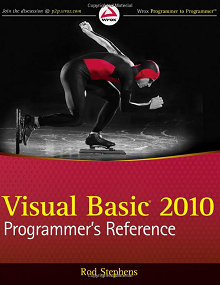 This book is for programmers at all levels who either want to learn Visual Basic 2010 or have already mastered it and want some useful tips, tricks, and language details. 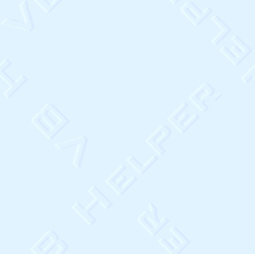 ...I found that Visual Basic 2005 - Programmer's Reference is a well-written and organised reference book. It is suitable for programmers at all levels of ability, and as such it does not just concentrate on the program features and function syntax, but also on the underlying concept and intent of the feature... Full review. ...For me this book is just the right level. It doesn't assume your are an idiot or waste time on Windows basics. The 1058 pages (I have the electronic version) are full of concise explanations, just the right level of detail and hardly a page goes by without a relevent screen shot or code example (code is king!). There is a 6.7M zipped file of code samples that are full of really useful examples... Amazon reviews.